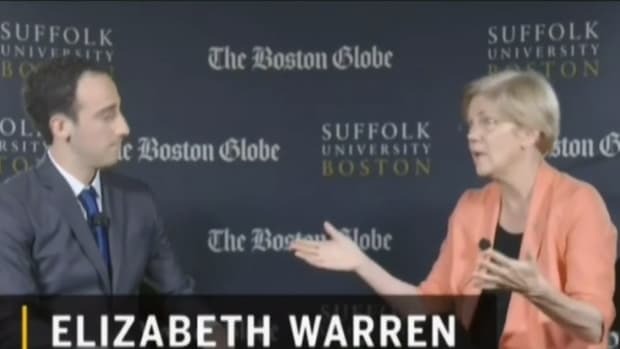 Massachusetts Senator Elizabeth Warren continues to throw wild haymakers at President Obama in her attempt to quash it at all costs. 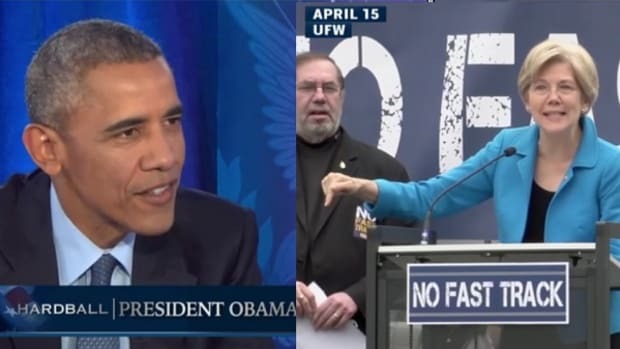 The battle over the Trans-Pacific Partnership trade deal heated up some more over the weekend, with President Obama continuing his response to Democratic critics of the deal, and Senator Elizabeth Warren (D-Mass.) continuing to lead the charge against him. 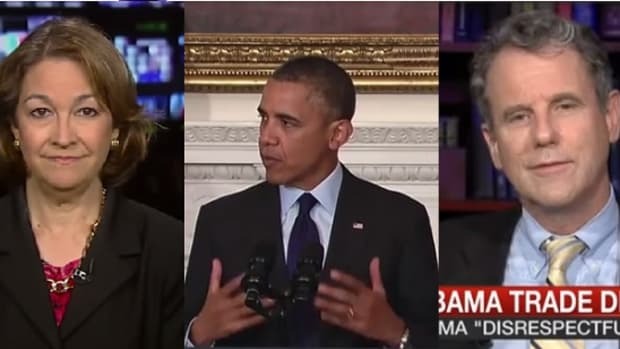 Along the way, though, the contours of this feud, as a proxy fight between the post-midterm Obama juggernaut and the Warren wing, became much more clear. Matt Bai: It&apos;s personal, too, isn&apos;t it? 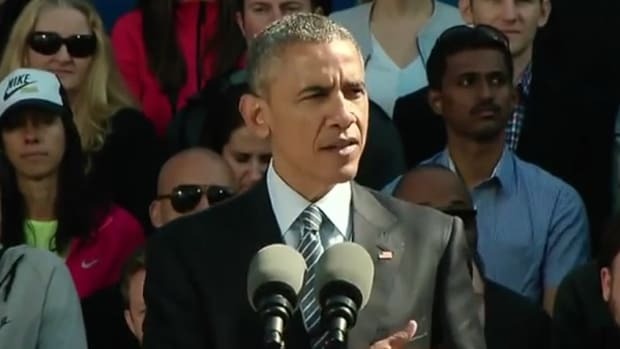 President Obama: Elizabeth is a politician just like everybody else. "About 17 cases in 30 years have been brought against the United States, and we&apos;ve lost zero. None. So, this is not speculation on my part." 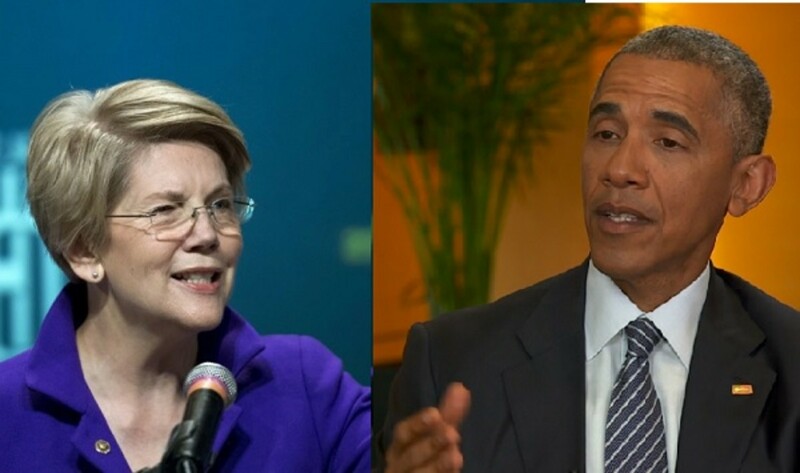 To be clear, I don&apos;t think President Obama is being entirely fair to Warren (although Press Secretary Josh Earnest assured reporters Monday that the "politician" remark was not a slam) in that, while she is definitely capitalizing on this issue to build her political brand, I believe she does so with a sincere aim in mind, rather than simply for her own political self-interest. 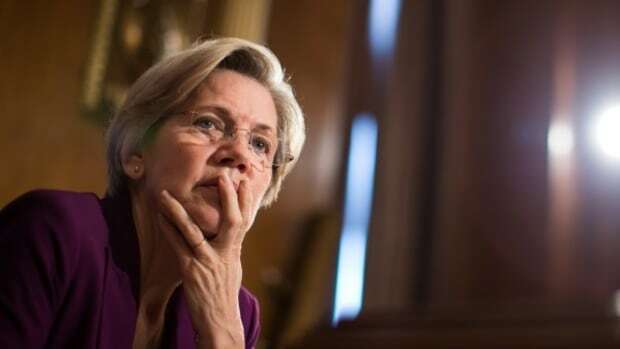 Now, to the doe-eyed true believers in the Warren wing, this might sound all kinds of reasonable, but to anyone who has ever tried to get 12 of anyone to agree on anything, it is self-evident crap. Unilaterally amending a 12-nation trade deal is like letting each of your wedding guests amend the menu at the reception. You can either have the fish or the chicken, or don&apos;t come, but you can&apos;t make a change, then get everyone else to agree to it, then come back with all of their proposed changes, that is not how complex multilateral agreements work. To suggest otherwise is dishonest. Even more clarifying than that, though, is Warren&apos;s response to questions about that dispute resolution provision that President Obama was talking about. 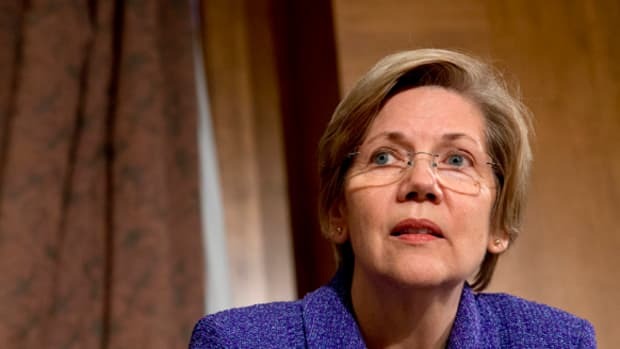 Greg Sargent asked Warren, three different ways, if it was even possible for the deal to include such a provision that was worded properly to satisfy her concerns. The short answer: no. The longer answer involves a future Republican president being able to use trade deals to attack Dodd-Frank. There are very reasonable objections to make against this trade deal, not the least of which is that no matter what you put into a trade deal, the universe, like the dinosaurs of Jurassic Park, finds a way to chew up American workers. 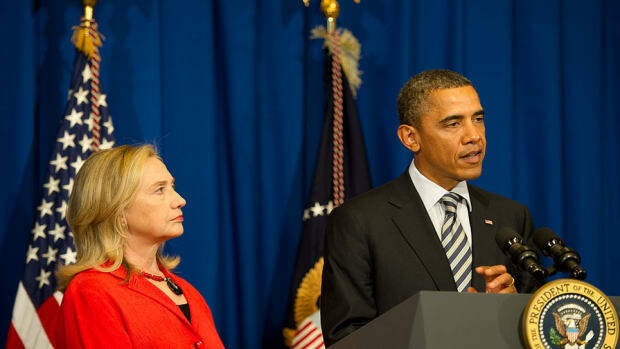 President Obama&apos;s case is that the T-Rex pen is already open. While that&apos;s not the perfect sales pitch, at least he&apos;s not bullshitting me. The same cannot be said of Warren.